If you are preparing for the ACCUPLACER©, you probably want all the help you can get! ACCUPLACER© Test Strategy is your complete guide to answering multiple choice questions! 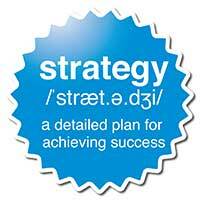 Accuplacer© Strategy! Winning Multiple Choice Strategies for the the Accuplacer Exam. 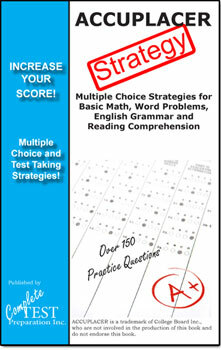 Increase your score with strategies for Math, Reading Comprehension and English Grammar. Order PDF Download Version $9.99 No Shipping! No Waiting! Download after purchase. Printable PDF version of Paperback - Optimized for any platform - PC, MAC, Smart Phone or Tablet!